Stellenbosch has long been a centre of excellence across diverse fields, from sport to academics. In terms of wine, this year is no exception with a great roundup of achievements over the past few months. More recently, L’Avenir Wine Estate was nominated as ‘New World Winery of the Year’ at the coveted Wine Enthusiast Magazine 2018 Wine Star Awards – the only South African winery to do so. Each year, the editors of this influential US publication honour individuals and companies that have made outstanding achievements in the drinks industry. Among many developments and accolades, 2018 also saw Mike Ratcliffe appointed the new chair of SWR. 27 Stellenbosch producers received the status accolade of “Judges Selection”. The UK-based International Wine & Spirit Competition stands out as a jewel in Stellenbosch producers’ achievements this year. The annual competition receives entries from over 90 countries worldwide. The awards are considered among the industry’s highest honours in the industry. 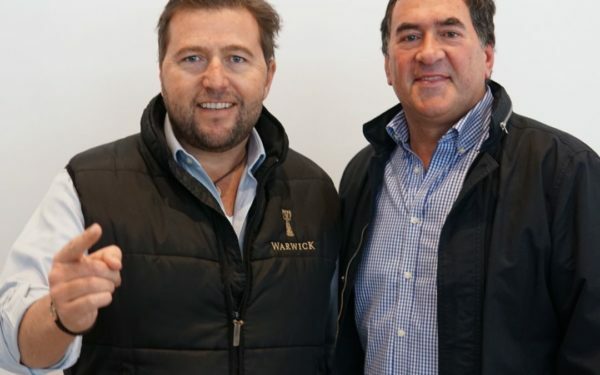 And last but certainly not least – ending a bumper year for Stellenbosch wines on a high – was the much-awaited announcement of top performers in the 2019 Platter’s South African wine guide, which brought further joy to wineries of the City of Oaks. Stellenbosch clinched more than a quarter of the 90 enviable five-stars awarded. The guide’s most impressive Wines of the Year accolades also belong to the heartland of SA wine with Le Riche Reserve 2015 clinching top Cabernet Sauvignon; Kanonkop Black Label 2016 the Pinotage title; and, Beyerskloof Faith 2014 winning the Red Blends-with-Pinotage category. The Red Blends (Other) title went to the Ernie Els Proprietor’s Blend 2016, whilst Villiera Monro Brut 2012 sparkled as best Méthode Cap Classique and Overgaauw Cape Vintage 1998 as the finest Port-style rendition. For more information, contact Elmarie Rabe at Tel: 021 886 8275, send an email to info@wineroute.co.za or visit www.wineroute.co.za. Also follow on Twitter or on Facebook.